The mission of the Western Pennsylvania Network is to provide that climate, which allows each member the best opportunity to grow personally and professionally. We will provide high quality products and services to our clients. We will do this by always being ladies and gentlemen. Tracy is a graduate of the University of Pittsburgh. She has been working for Craig for over 14 years. As the Director of Operations, she maintains all aspects of the district office including financial matters, payrolls, HR, and training. She also handles office development and space. In her spare time, Tracy enjoys spending time with her husband Cliff, two daughters Cameran and Carson, and their dog Winnie. 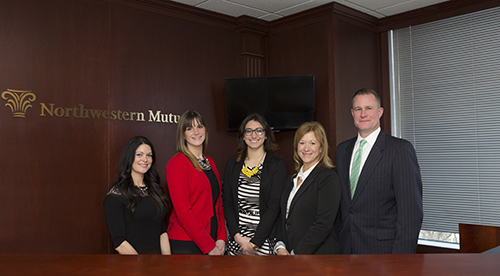 Natalie is a Penn State graduate who started working for Northwestern Mutual in 2008. She is responsible for handling trades and rebalancing accounts, preparing personal planning analysis and investment and insurance proposals. She makes recommendations, modifies proposals and advisory accounts based upon review. She also processes new accounts, handles asset transfers, monitors industry trends and research and account paper work. In her spare time, she is the busy mom of her 3 year old daughter, Gia.